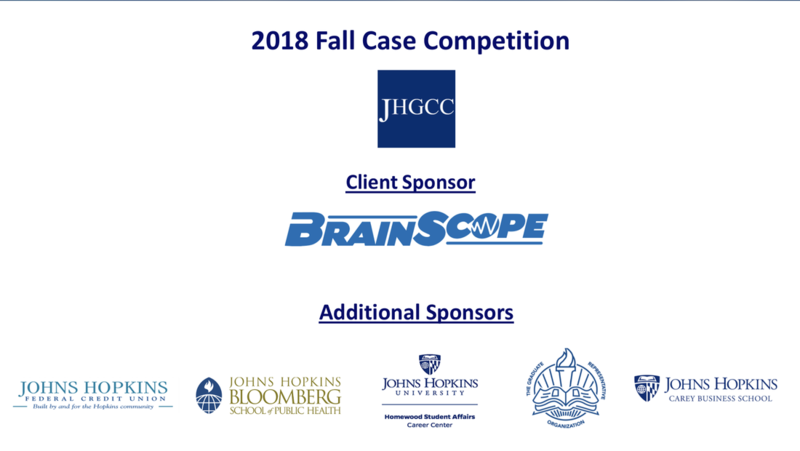 The JHGCC Fall Case Competition offers Johns Hopkins University students and staff an exciting opportunity to formulate strategic recommendations to a given problem and win up to $500 in the process. Participants will also have a chance to present and discuss their ideas with a panel of judges from leading consulting firms and corporate strategy offices, and interact with them more informally during a private networking reception. Many participants of years past have successfully pursued strategy consulting positions afterwards, aided by the feedback they received and connections they made during the Case Competition. Students can enter the competition individually or with a team of 3 to 5 other students; students can be from multiple schools, programs and departments. The top 3 teams will be awarded cash prizes.